When it comes to food, I am one greedy little piglet. My mum once described my brother Chris and I to her friend as 'the finest eaters' and whilst that wasn't my defining hour I can kind of see where she's coming from. 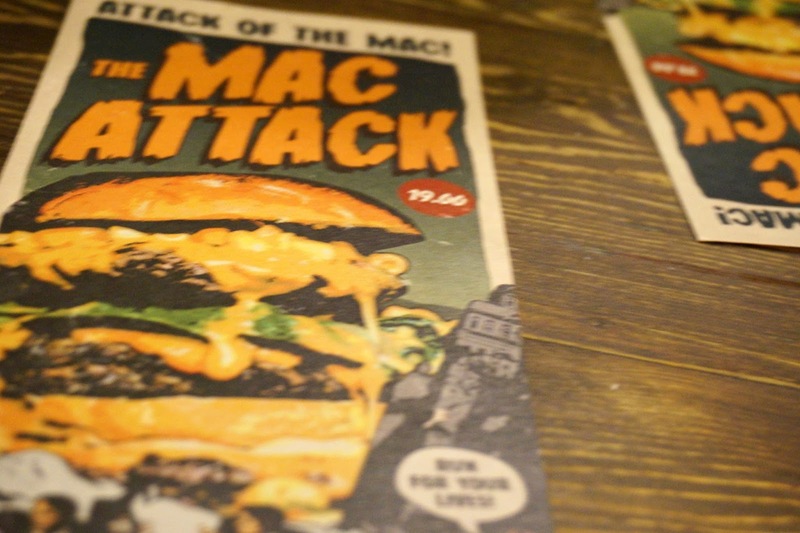 So when Katy invited me to take on the MAC ATTACK CHALLENGE with her, I was sure I was going to kill it! 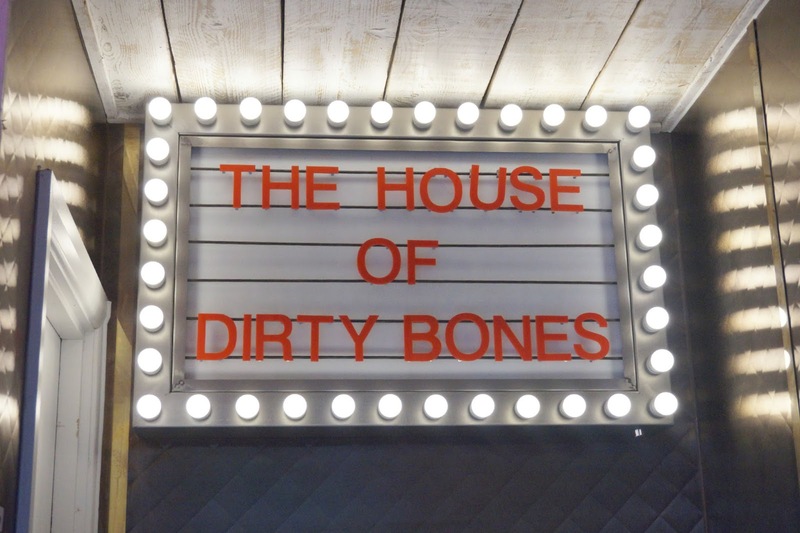 The Mac Attack is the new food challenge dreamed up by the team at Dirty Bones. 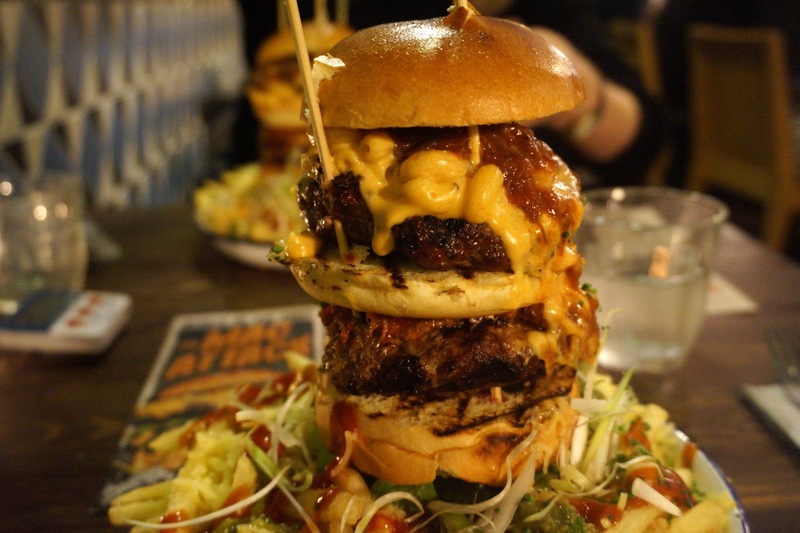 Three beef patties, two brioche buns, BBQ pulled pork, mac’n’cheese, lettuce, tomatoes and onion. 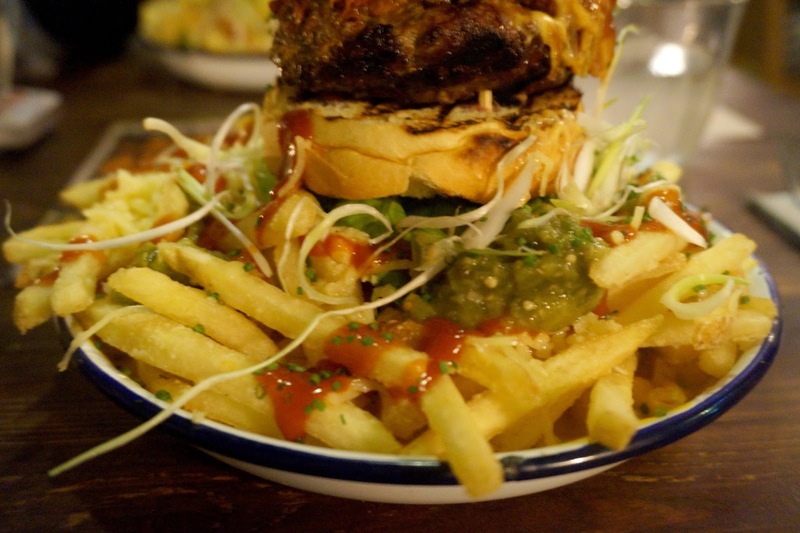 All on top of a pile of Dirty Fries with chilli cheese sauce, cactus salsa, grated cheese. All of this to be eaten in 10 minutes with no liquids. Now I won't lie. 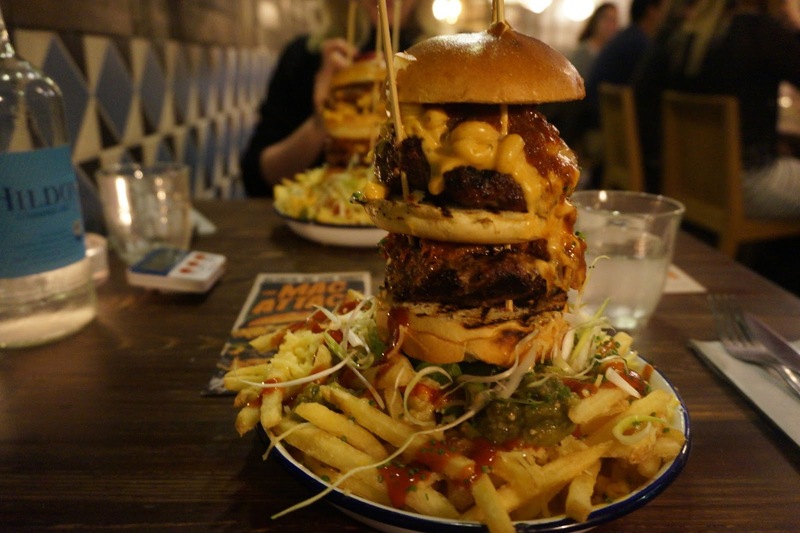 The preparation for this food eating challenge was a mixed bag of emotions. First I felt bravado - I can totally do this. Then I felt fear - like real genuine worry - before I settled with a mis-match of faux-confidence and anxious excitement. 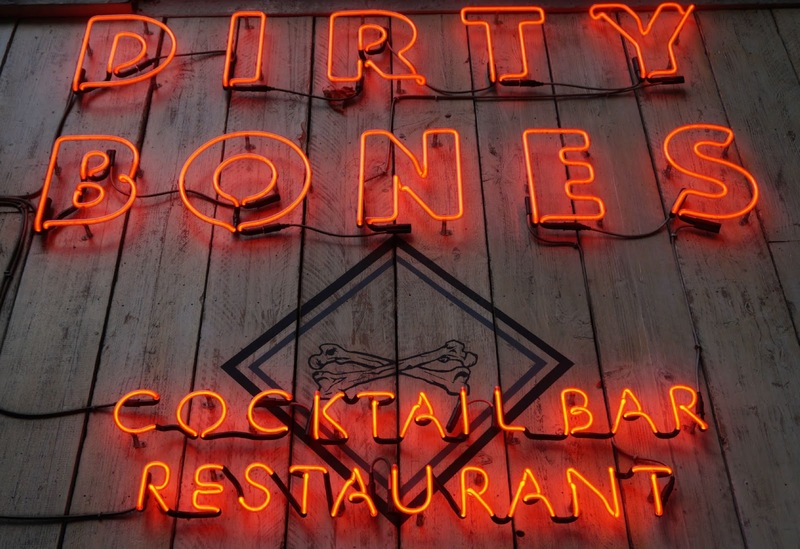 If you've been to Dirty Bones before, you'll know the restaurant is down in the basement below street level of High Street Ken. I got there early so I ordered a beer and waited for Katy to arrive. SCHOOL BOY ERROR NUMBER ONE. Once Katy arrived, we were led through to the eating arena. I had my back to the kitchen so I had to keep surveying Katy's expressions for any sign that our impending burger boom was on it's way out. When her face dropped, I knew it was happening. The chef even stuck his head out the door to see who was taking it on AND LAUGHED. Just look at it! I mean seriously look at it... There was so much food oozing everywhere I didn't even know how to capture it. Let alone eat the thing. All strategy and game plan was quickly going out the window. So how did we do?! Wellllll not so great. I managed all three patties, all the pulled pork but a whole heapppp of carbs were left on the plate. 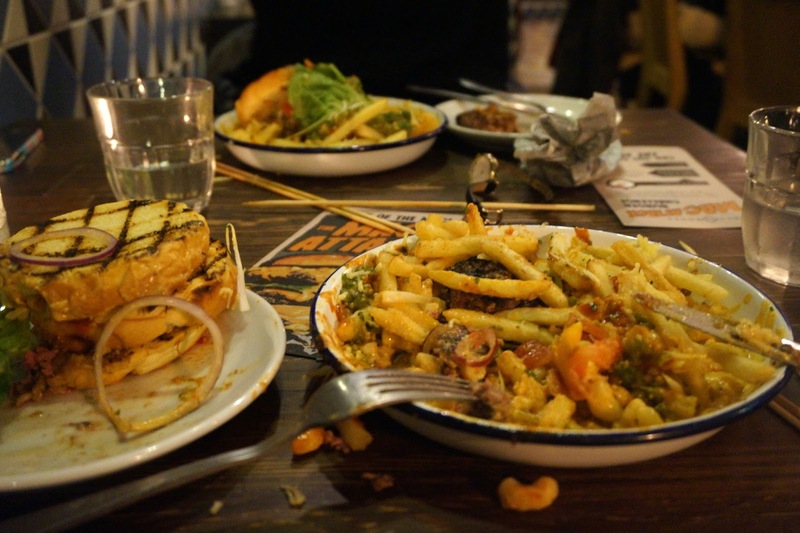 I'd love to tell you what I thought of the food, but I wasn't really thinking about flavours - more about getting it all in my gob. BUT the service is brilliant and the bar is well stocked with an awesome cocktail list. 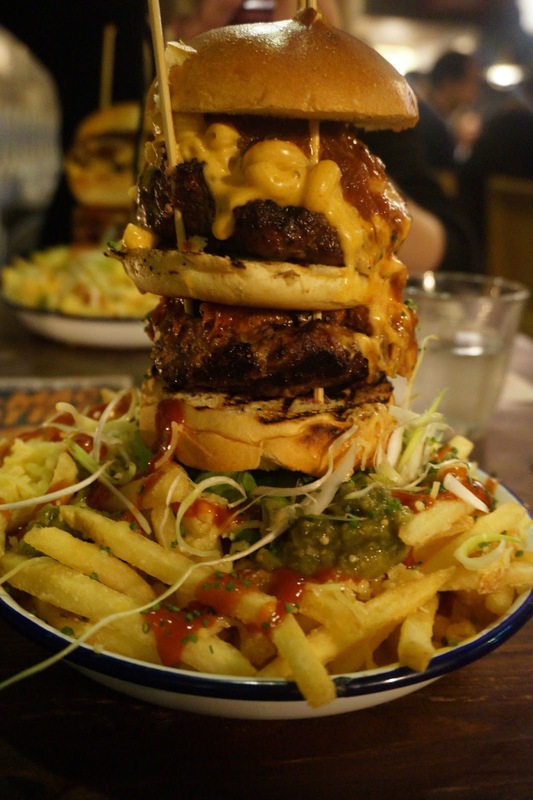 Plus Tom reckons he can finish it so looks like we'll be going back!